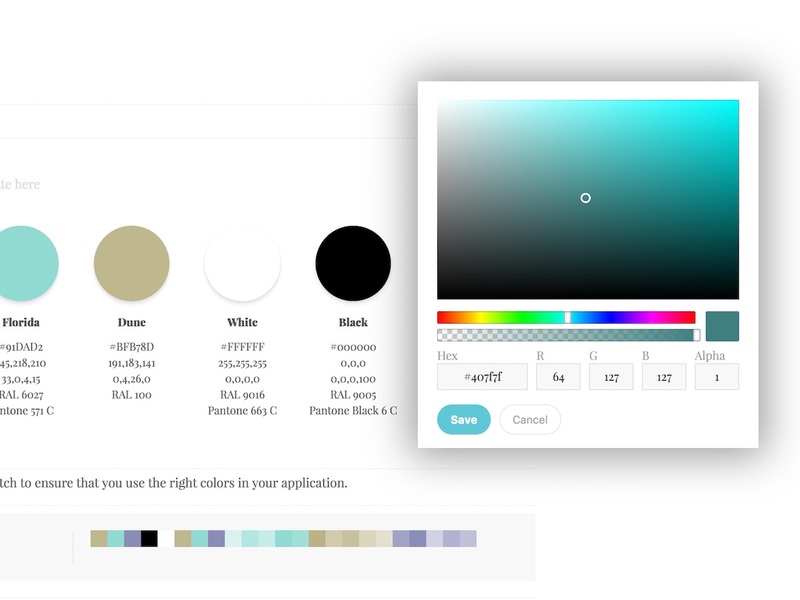 Adding colors to your Frontify Style Guide has always been easy - nevertheless, we just made it even simpler. Complementing the current HEX and RGB values, you can now add colors by picking them directly from the color block. You can also adjust the color's hue or alpha setting. Never seen Frontify in action? Start your free trial now!